As the oldest and largest of Earth’s neighbors, Jupiter has always been the grandfather of our solar system – but now it seems the gas giant may be much grander than previously thought. New research from Germany’s University of Münster and Lawrence Livermore National Laboratory (LLNL) in California suggests that Jupiter's core was forged just one million years after the birth of the solar system. 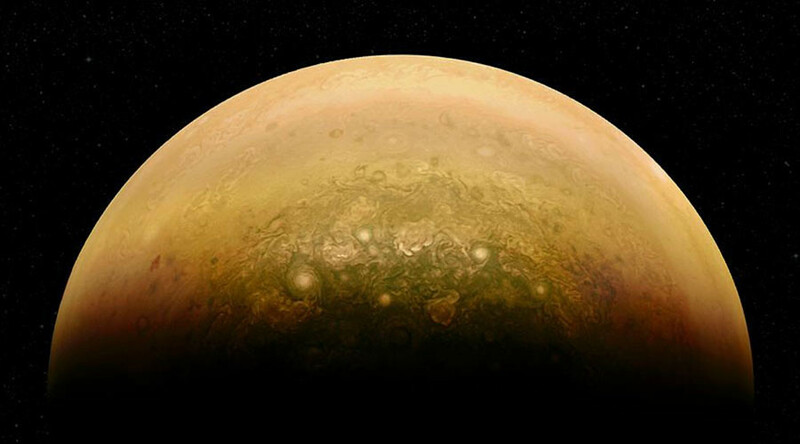 "Jupiter is the oldest planet in the solar system, and its solid core formed well before the solar nebula gas dissipated,”said lead author Thomas Kruijer of the LLNL. The research, published in the Proceedings of the National Academy of Science (PNAS), estimates that Jupiter's core swelled to approximately 20 times the Earth's mass in the early life of the universe, later becoming so massive that it disrupted the formation and flight paths of asteroids and meteorites speeding around the galaxy. Asteroids and meteorites, essentially leftover shards of the metallic cores around which planets form, had been orbiting in a disc of gas and dust around the planet. Later, the field split into two distinct groups. 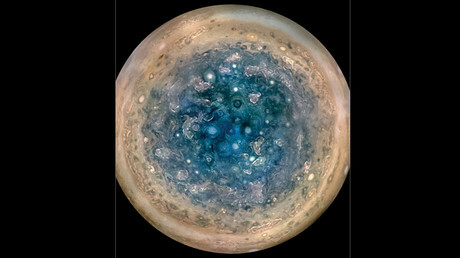 “The most plausible mechanism for this efficient separation is the formation of Jupiter, opening a gap in the disc and preventing the exchange of material between the two reservoirs,” Kruijer said. Analysis of isotopes contained within 19 meteorite samples allowed researchers determined their age and whether they came from the near or far side of the great Jupiter-induced divide. "We do not have any samples from Jupiter, in contrast to other bodies like the Earth, Mars, the moon and asteroids," Kruijer said. "In our study, we use isotope signatures of meteorites, which are derived from asteroids, to infer Jupiter's age." The result is that the team believe Jupiter was formed a very short time after the birth of the solar system almost five billion years ago. The study reads: "One important implication of this result is that, because Jupiter acted as a barrier against inward transport of solids across the disk, the inner solar system remained relatively mass deficient, possibly explaining its lack of any 'super-Earths'." Jupiter, which has an equatorial diameter of 88,846 miles (142,984 km), 318 times the mass of Earth. It is also more than double the mass of all other planets in the solar system combined.